Bangalore, or Bengaluru, is the capital city of Karnataka. It is an educational hub and has gained immense popularity in the past few years because of many information technology firms establishing base there. The IT sector has created various job opportunities for graduates and post-graduates from various fields. The city offers a variety of education courses in private and government universities. Read on to find out about education in Bangalore. Bangalore has been south India’s educational hub for many decades. It has had some of the finest schools, colleges and universities. There is an array of courses in diverse fields that are taught in this city. There are educational programs in disciplines like agriculture, aerospace engineering, business management, biotechnology, sociology, law, nanotechnology and economics. The range of courses includes many conventional as well as unconventional programs. Due to this reason, Bangalore witnesses students coming in from all parts of the country. This diversity adds vibrancy to the city culture as there are a number of languages spoken among students. The prestigious Indian Institute of Science or IISc was established in 1909 on the land provided by the visionary Mysore Maharajas. It was declared as a Deemed University in the year 1958. The brightest scientific brains of the country are attracted to this institute. Covering almost 400 acres of area, the university provides a number of Master´s degree courses in Engineering, an integrated Ph.D. course in Sciences as well as Ph.D. courses under various branches of science and engineering. The university campus is situated in Northern Bangalore nearly 4 kilometers away from the Bangalore City Railway Station approximately 35 kilometers away from the new Bengaluru International Airport. This research institute bears proximity to other research institutes such as Raman Research Institute, Wood Research Institute and Central Power Research Institute (CPRI) and Indian Space Research Organization (ISRO). The Jawaharlal Nehru Center for Advanced Scientific Research or JNCASR teaches Master’s and Ph.D. courses in pure sciences. This multidisciplinary research center was set up by Indian government’s Department of Science and Technology to celebrate Pandit Jawaharlal Nehru’s birth anniversary. Situated in Jakkur, this deemed university confers its own degrees and aims at promoting scientific research and training. Currently, Prof. M. R. S. Rao is serving as the president, while Prof. C. N. R. Rao is the honorary president and Founder of the institute. The research taking place on the campus can be categorized under six major categories - Engineering Mechanics, Chemistry and Physics of Materials, Evolutionary and Organismal Biology, Theoretical Sciences, Molecular Biology and Genetics, and Educational Technology and Geodynamics. Chemical Biology and Condensed Matter Theory are the off-campus units. The faculty-student ratio of JNCASR is 1:4. The university campus is rich with highly advanced experimental and computational facilities. The educational programmes offered here include Ph.D. programmes, and an Integrated Ph.D. (post-bachelor's degree) course in Materials Science. Other than teaching its own students via a wide range of courses, the university actively assists a variety of education initiatives. For instance, every year the college’s Summer Research Fellowship programme conducts an event that houses some of the brightest undergraduates in the country. The institute is also known to organize and tutor short-term programmes at educational institutes all over the country. The National Law School of India University or NLSIU offers legal education to students. It has been a respected instituted that has become an inspiration for many other law schools across India. NLSIU provides both undergraduate and graduate level courses. 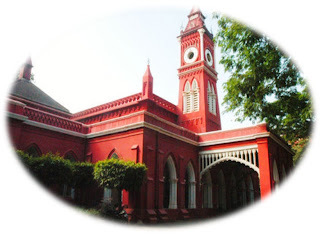 It is among the most prestigious law schools of India. This Bangalore law college was set up as a result of a statute by the State Legislative Assembly of Karnataka. It was formally established on the 29th of August in 1987. The order stated that the Chief Justice of India would act as the university’s Chancellor. The present Vice-Chancellor R. Venkata Rao is the institute’s chief administrator. As per the Outlook India Top 10 Law Colleges of 2011 survey, the India Today India's Best law Colleges 2012 survey, and the Mint Top 15 Law Colleges of 2009, NLSIU has been the best law college. The Indian Institute of Management Bangalore or IIMB is among the best institutes offering education in the field of management. It has set high standards in management teaching and is counted among the top three management institutes of India. IIM Bangalore offers a Doctoral course and many Post Graduate programmes, plus a wide range of Executive training programmes. The institute confers only Diplomas, and not degrees. It is also involved in facilitating research, conducting seminars and academic conferences, offering consultant services, and publishing journals. Set up in July 1964, Bangalore University was initially an off shoot of the University of Mysore. Soon after, the institute restructured its curriculum and introduced Honours Courses in 1965. The University of Bangalore offers three year Honours courses in Chemistry, Botany, Economics, Geology, English, Kannada, Zoology and Mathematics. The university has also built Gandhi Bhavan, Centre for Study of Social Exclusion and Inclusive policy and Dr. B.R. Ambedkar Study and Research Centre. It has also set up schools of Social Sciences, Biological Sciences, and Business Studies. Bangalore boasts many other reputed institutes like International Institute of Information Technology, Bangalore, (IIITB); the TIFR Center for Applicable Mathematics; the National Centre for Biological Sciences; the Indian Institute of Horticultural Research (IIHR); and the Institute of Social and Economic Change (ISEC). Design institutes like National Institute of Design and National Institute of Fashion Technology also have a base here. That is why Bangalore is referred to as the educational hub of the country. Devika Arora is a prolific writer who compiles relevant facts and analyzes the current state of affairs pertaining to the domain of education in India. She is currently writing informative articles, news stories, various top MBA institutes and blog posts on Indian educational institutes and the various courses offered by them. 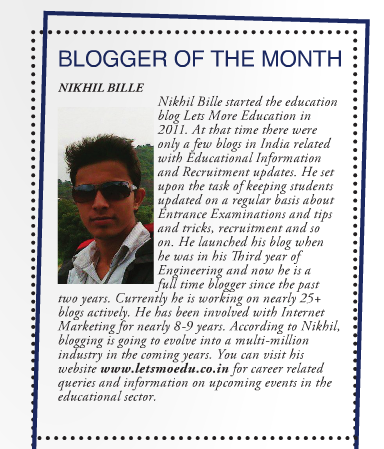 The above article discusses about education in Bangalore.